As the old saying goes, it takes a village to raise a child. But could certain members of a family’s village be unwittingly passing along bad advice to new parents? According to a new study, the answer is yes. Most new moms know that “back is best” when it comes to how babies should be put to sleep, but many are heeding the advice of mothers and grandmothers instead of following the golden rule of safe infant sleep. New research, published in the journal Pediatrics, finds that new parents are receiving and listening to advice that contradicts their pediatrician’s -- and this could ultimately raise a baby’s risk of dying from SIDS or other fatal sleep-related conditions. The study finds that babies born into communities or cultures with a stronger reliance on matriarchal advice than pediatrician intervention are at a greater risk for SIDS. "Grandmothers and aunts and everybody have told (mothers), if they have babies sleep on their bellies, they're more comfortable; they're not going to choke," said Dr. Robin Jacobson, a pediatrician at Hassenfeld Children's Hospital at NYU Langone Health. "And because of that, a new mom who doesn't really have a lot of information is using information from everybody else in their life,” Jacobson, who wasn't involved in the study, told CNN. The researchers found that 77% of mothers reported that they usually placed infants on their backs for sleep, but fewer than half of those mothers (43%) always did so. The survey of 3,297 mothers is the first to look at how behavior theory impacts whether or not infants are placed to sleep exclusively on their backs. 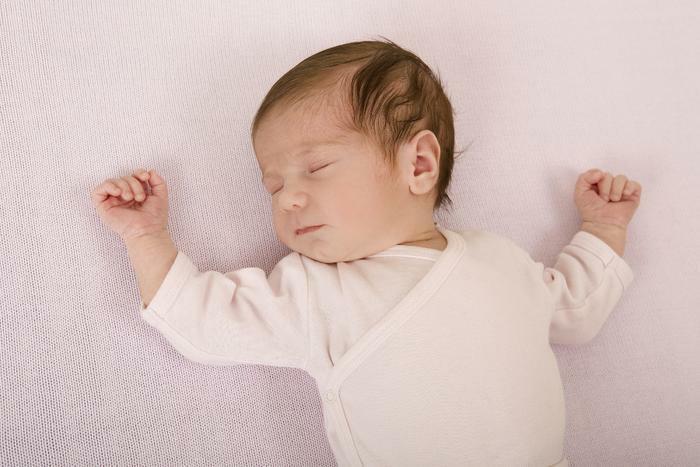 "We looked at what drives people's behavior for adhering to safe infant sleeping practices, and found that so much of what influences their decision-making has to do with attitudes and subjective norms," said Dr. Eve Colson, professor of pediatrics at the Yale School of Medicine. "What do people around you do? What do you see people do? Who is your adviser, and what advice are they giving you? All these factors are very important as they affect the behavior of new parents,” she said. In families that tend to rely heavily on advice from senior family members, the risk of SIDS may be higher. According to CDC data, the sudden unexpected infant death rate of non-Hispanic black infants was 170.2 per 100,000 live births between 2011 and 2014 -- more than double the rate for non-Hispanic white infants (83.8 per 100,000). While well-meaning mothers and grandmothers may argue otherwise, the guidelines for safe sleep remain the same as they have been since 1994: it’s always best to place a baby to sleep on his or her back on a firm surface without pillows or loose covers.